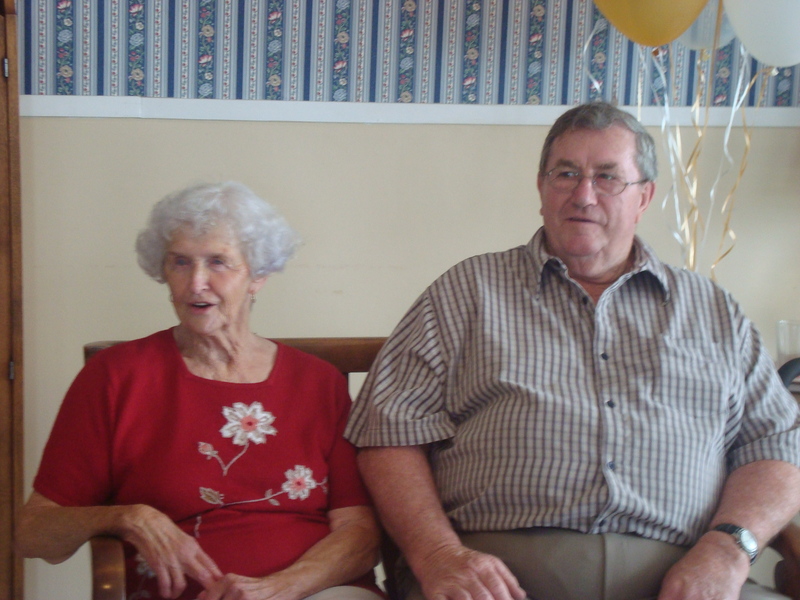 On their wedding anniversary, June 26, 2010, Betty and George Watts were pleasantly surprised when they were greeted by over 200 people at the Riverview Community Centre in Clyde River. Their sons, Steven, Robert and Rodney and Sarah, their daughter-in-law arranged an Anniversary Party. How they kept this a secret is amazing. The turnout at this open house was evidence of the popularity of this couple. Extended family, neighbours and their contacts through organizations like the Lion’s Club, Women’s Institute, Burnside Presbyterian Church, and crokinole and crib parties, were all represented and enjoyed wishing Betty and George well. A delicious anniversary cake and generous lunch provided by the Clyde River Women’s Institute added to the success of this event. Interestingly, another popular Clyde River couple, Sadie and Lorne MacLean were married the same day Betty and George Watts were fifty one years ago. They were there to share this happy occasion. Congratulations to both couples.